This really puzzles a lot of people who want to start a website or actually own a website. Having a dedicated server or not is the biggest decision to make. If you are here to know the same, then read on. Before we know how beneficial a dedicated server can be for you, let’s focus on what is a dedicated server. A dedicated server is a type of website hosting that is done to give your website a full server. You need to purchase or rent this dedicated server to host your website on it. This is a lot more expensive than shared hosting but can give you exclusive benefits for attracting more traffic. It also gives you more security requirements. It is usually the next step for people using a shared, VPS or cloud hosting. This can cost you $100 a month or sometimes can cost more too. A dedicated server is a lot more advantages than any other hosting service in several ways. It should also be noted that a computer reserved for a specific purpose is termed as a dedicated server. It is like a node connected in a network within a company for one purpose. This is done to provide ease in the working of this network. We are discussing a dedicated server for a website that is hosted by a web host like Super Byte Hosting. The most important advantages of having a dedicated server for a website are mentioned here. A dedicated server is designed to give your website complete security. If you have shared hosting, there are high chances of your website getting linked with any other unauthorized websites. This will have a big impact on your SEO rankings and will also put down your brand. So a dedicated server keeps your website safe as there is a unique IP address. This will prevent your website from getting tracked down due to shared IP addresses. This is also one of the biggest advantages in choosing a dedicated server hosting. Everything in your server including the RAM, operating system and CPU all belongs to your website alone. You can select a plan with the required speed and then integrate your data/resources with it. So your server works really fast and without interruption. In other modes of hosting, your data might vanish if something happens to the network. So a dedicated server is chosen over the others to give you full data security. When you choose a managed dedicated server, then it is very simple to maintain the entire server. All you need to is manage the data and resources of your website. This is also the best way to keep it secure. In unmanaged dedicated servers, you take all the responsibilities which can turn out to be fatal. A managed server gives you a number of services and helps to manage the entire process of maintaining your website. In other modes you share the server with the provider, so if that is attacked you automatically lose all data. A dedicated server is only for your website and only some services are managed by the provider. This is again a potential feature of dedicated servers. Do you need a dedicated server? A dedicated server is very expensive when compared to the rest of the hosting services available. Thus, using it or opting for any other hosting service totally depends upon what you need. You should make a clear decision while choosing your hosting server. Super Byte Hosting offers you plenty of options to choose from and we also make sure to give the best service all the time. Let us now discuss the requirement of a dedicated server based on the purpose. If your business involves a lot of services then dedicated server is the best option. Shared hosting does not give a lot of bandwidth needed for so many resources. The cloud and VPS hostings come with limitations too. Dedicated hosting servers are available in several plans with great speed and processing power. If your purpose is to get a unique IP address, then cloud and VPS are cheap and best. Getting a dedicated server just for an IP address may be too costly. You can always ask web development experts before purchasing a dedicated server. Check that you are fully sure about your purpose before buying this from a web host. A dedicated server is only for your website. So it stores data only about your website which hackers are not interested in. They look for shared hosting servers for more information. Thus, security is guaranteed but on your own terms. You must take some measures to ensure their safety. This can be difficult sometimes, then you can use a managed dedicated server. Now dedicated server is of two types, they are managed and unmanaged. The managed server as we saw, takes care of security and server set-up. You need to pay extra to your web host so that they manage the server. The unmanaged server is difficult to manage as you need to set-up, ensure security and also monitor it 24/7. This is a daunting task, so a managed dedicated server is used. This is also one of the biggest advantages of a dedicated server. All the benefits and needs of a dedicated server are briefed above. 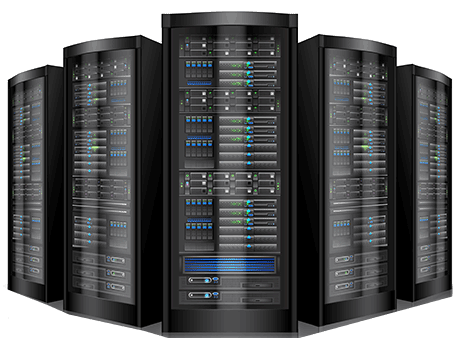 Now where to get or buy a dedicated server for your website? Super Byte Hosting offers a wide range of hosting servers for every website at reasonable prices. You can get your website hosted on a dedicated server in just a few simple steps. We aim to give the best services for every website that needs hosting to multiple website traffic. We also have a number of other hosting services. It is your choice to select what kind of hosting best suits your necessity. Super Byte Hosting is your one-stop destination for all your web development and hosting needs. © 2019 Super Byte Hosting | All Rights Reserved. Super Byte Hosting is one of the Best Web Hosting, Reseller Hosting, VPS, Dedicated Server and Domain provider in India.